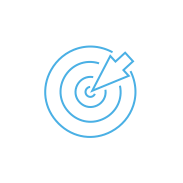 Sync your HR information with your accounting entries. 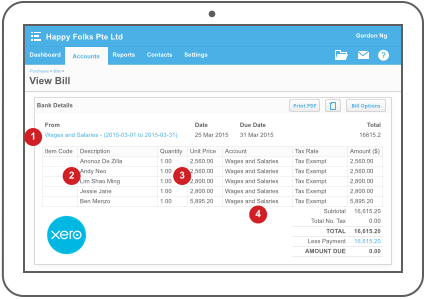 Payroll entries are always reflected in your ledger. We’ve simplified the steps needed to process your accounts. Use the time you’ve saved for better things. 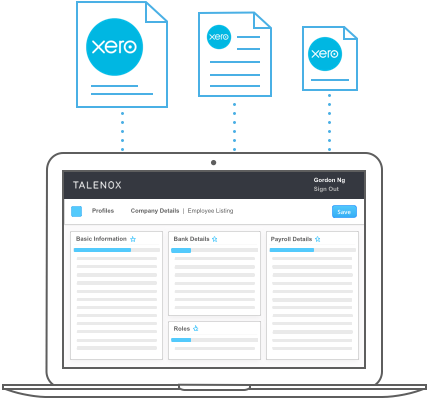 Talenox is fully integrated with Xero, so you settle all your payroll and accounts in one central location. Hiring more people? 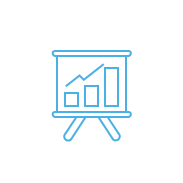 Talenox is fully equipped to handle growing businesses. 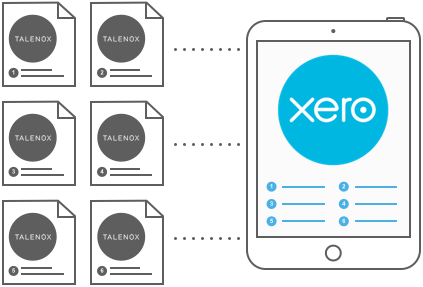 Connect your Xero account to Talenox and manage everything in a much shorter time. With the simple import of your employees’ data, it’s now super easy to export payment information to your Xero account. Every Talenox user gets assigned a default Chart of Accounts.  With this, you can easily send payrolls to a General Ledger, which will be reflected on Xero’s Chart of Accounts. 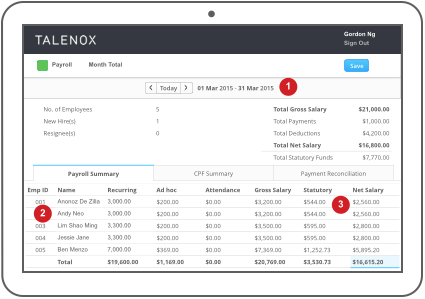 Talenox automatically classifies payroll into groups such as salaries, taxes, and overtime, among others. 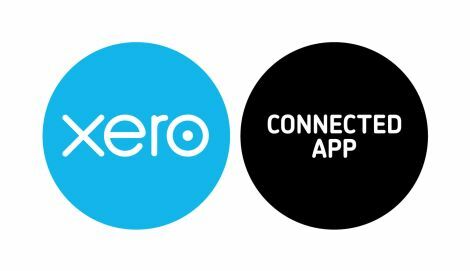 These will be reflected into your Xero ledger account. 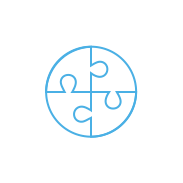 Split employees into pay groups or process different dates. Get insights into detailed pay records breakdown. Employee taxes are recorded and shown. Your pay entries get shown on the Chart of Accounts. 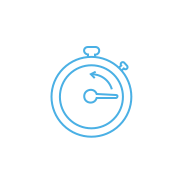 Find out more by contacting us, or try Xero Accounting Softwarefree.